Bluebird powder day at Aspen Snowmass. Ikon Passes are on sale for the 2019/2020 season, giving skiers and riders access to some of North America's most popular resorts. Here’s our shopping guide to sort out what Ikon Pass will work best for you. The Ikon Pass gives skiers and riders access to 38 resorts across North America, Japan, Australia and New Zealand, with unlimited access to 14 resorts. Ski whenever you please, this pass has no blackout dates. Unlimited access: Mammoth, Steamboat, Stratton, Squaw Valley | Alpine Meadows, Tremblant, Winter Park, Big Bear, Copper, Snowshoe, June, Eldora, Blue Mountain, Solitude, Crystal. 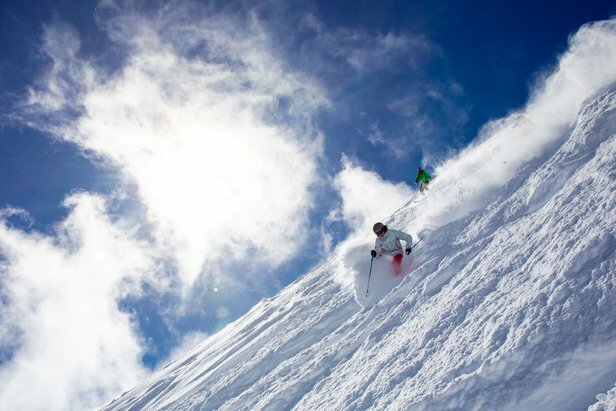 7-Days each at: Summit at Snoqualmie, Taos, Deer Valley, Brighton, Alta, Snowbird, Jackson Hole, Big Sky Resort, Aspen Snowmass, Boyne Highlands, Boyne Mountain, Cypress, Revelstoke, SkiBig3, Killington, Sugarbush, Loon Mountain, Sunday River, Sugarloaf, Thredbo, Valle Nevado, Coronet Peak, The Remarkables, Mt. Hutt, Niseko United. The Ikon Base Pass offers unlimited skiing and riding at 12 resorts with limited blackouts. 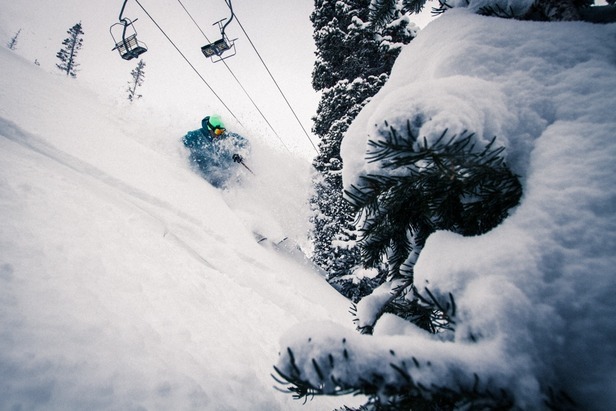 Unlimited access, with limited blackouts: Tremblant, Winter Park, Copper Mountain, Big Bear, Snowshoe, Eldora, Squaw Valley | Alpine Meadows, June, Crystal Mountain, Blue Mountain, Mammoth and Solitude. 5-Days each at: Summit at Snoqualmie, Steamboat, Taos, Deer Valley Resort, Brighton, Alta, Snowbird, Aspen Snowmass, Jackson Hole Mountain Resort, Big Sky Resort, Boyne Highlands, Boyne Mountain, Cypress, Revelstoke Mountain Resort, SkiBig3, Stratton, Killington Resort, Sugarbush Resort, Loon Mountain, Sunday River, Sugarloaf, Thredbo, Niseko United, Coronet Peak, The Remarkables, Mt Hutt, Valle Nevado.